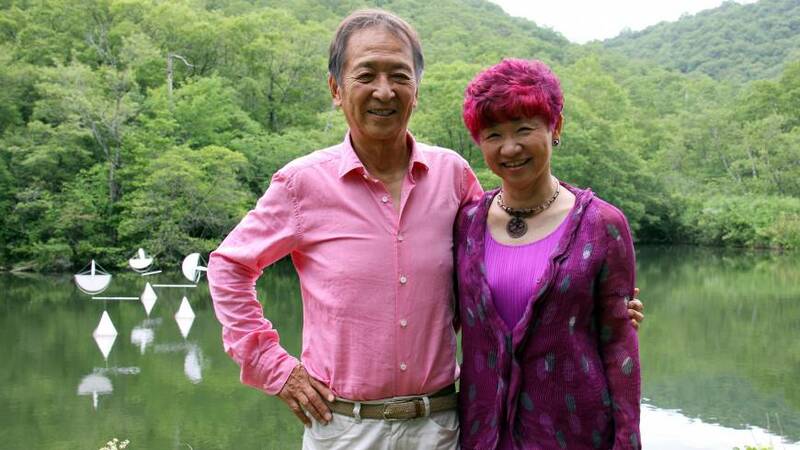 Less than five minutes into conversation, Susumu Shingu’s wife, Yasuko, pulls out a large binder crammed with photographs, sketches and drawings and starts flipping through images of her husband’s most recent sculptures. 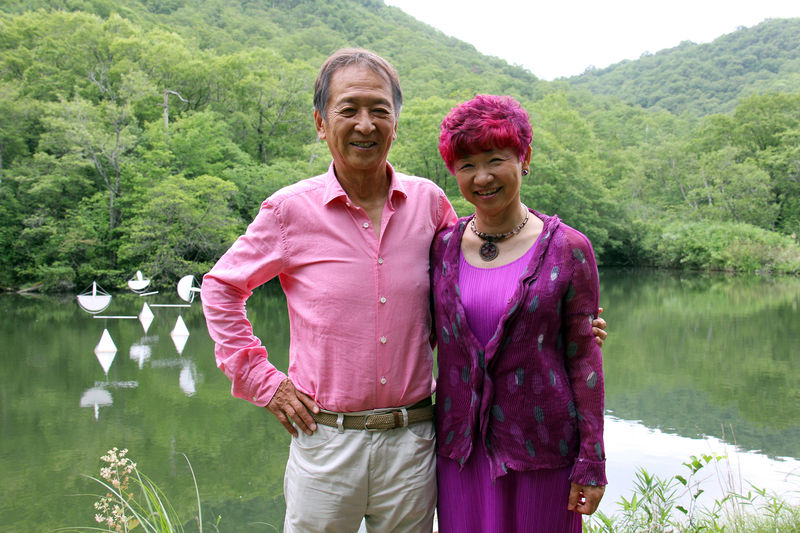 The couple, who have worked together for most of Shingu’s more than 40-year career, have been talking about their busy month ahead in Europe. The deft archivist flips to the appropriate illustrations in her binder as Shingu describes a mobile design for the Greek National Opera at the Stavros Niarchos Foundation Cultural Center in Athens; his plan for a memorial at the Port of Genoa, Italy; and the upcoming premiere in Naples of Thomas Riedelsheimer’s 2012 documentary of his environmental “Breathing Earth” project. It’s obvious that Shingu has always been prolific. Yasuko later pulls up even more images and video clips on her Macbook Pro, this time of older works and other projects. 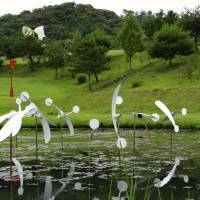 His sculptures and installations — huge, striking kinetic works of geometric and abstract shapes that sway, swing and rotate to the movements of air or water — have been installed across Japan, as well as in Italy, France, America, Brazil, Korea and Taiwan. 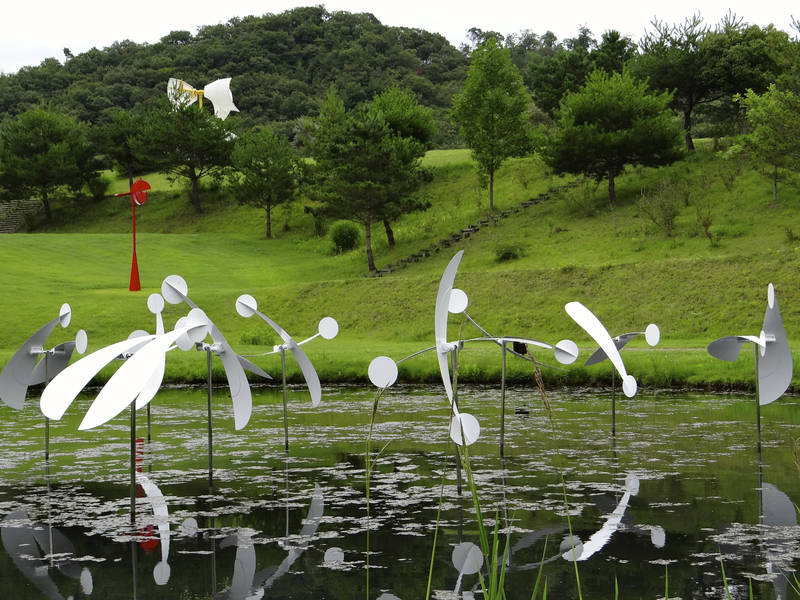 The new 3,000-sq.-meter outdoor museum, which is just a 15-minute walk from the Shingu studio, also includes a brand new installation — “Rondo of the Wind,” a white structure of winged-seed-like panels that gently swing on rotating poles protruding from the park’s pond. 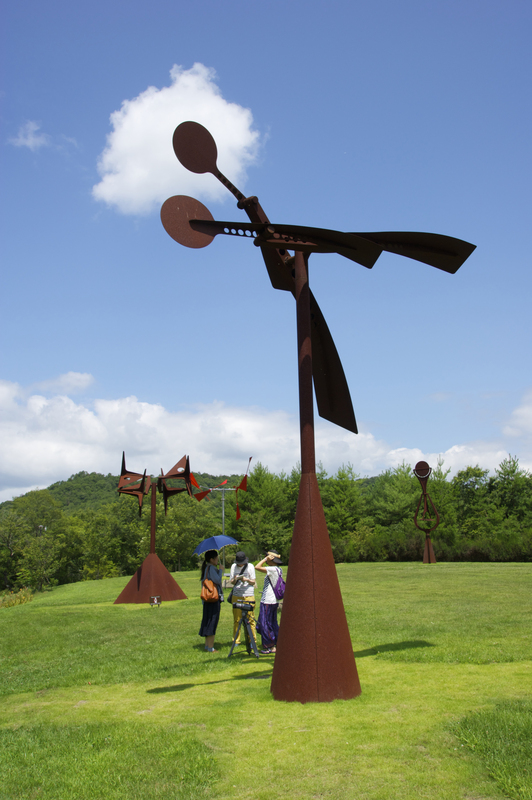 Like all the sculptures in the park, its movement differs according to the breeze, and like everything Shingu does, it is inspired by the forces of nature. It’s surprising to hear, then, that when Shingu talks of his past, he says he originally wanted to be a painter and had studied oils at the Academy of Tokyo University, before accepting an Italian government scholarship in Rome in 1960. When the rectangular frames of his canvases suddenly seemed confining, Shingu picked up a pair of scissors and cut out his shapes. Then, when he thought the walls were interfering, he started hanging his paintings further away from them. 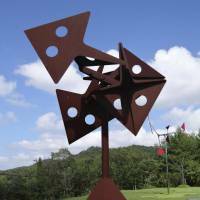 Kinetic art, especially that which involved modern technology, had briefly flourished in Paris in the 1950s, but in Rome it was relatively unexplored. In 1965, struggling financially, he took a one-off job as a tour guide, something that, he explains excitedly, changed his life. When Shingu did return to Japan a year later, he was welcomed with a studio built in the center of the Osaka Ship Building Co. shipyard and the instructions: “Do whatever you want.” Obligingly, he did. 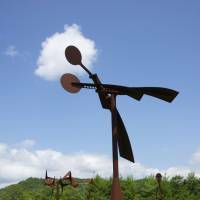 He designed his first commissioned and large-scale piece — “Path of Wind,” a 20-meter-tall sculpture in Senrikita Park, for the Osaka Expo ’70. 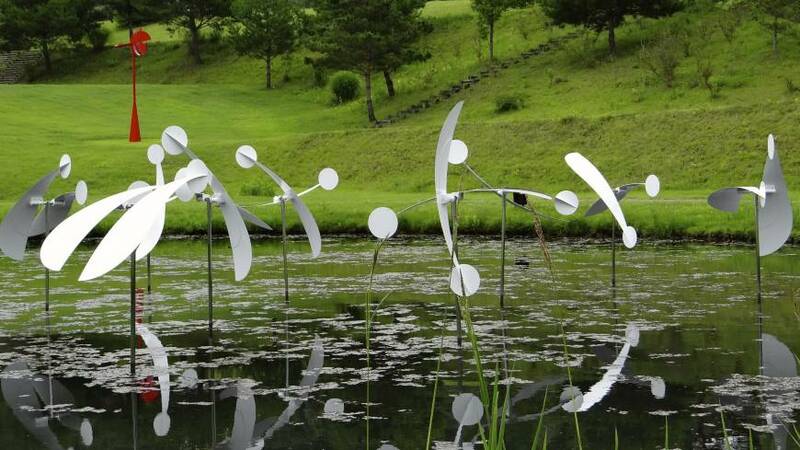 Yet in an age of increasing environmental concerns, and in particular since the Great East Japan Earthquake of 2011, Shingu’s wind- air- and water-motivated works now seem far more politically charged. 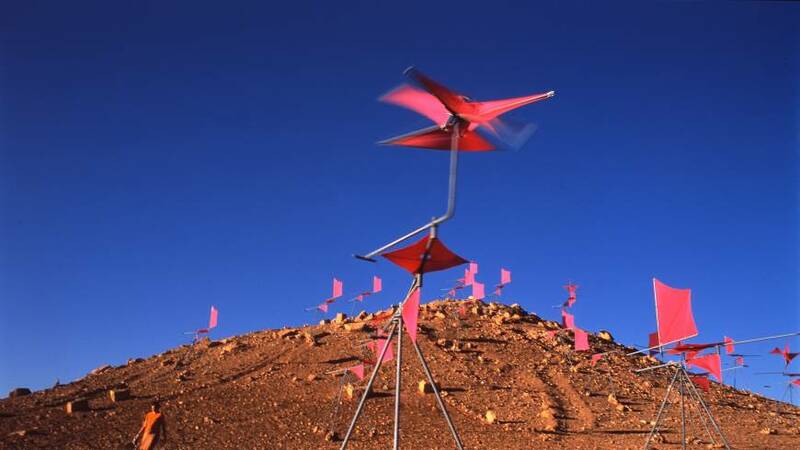 Their dialog between technology and nature parallels the predicament that society faces today, something Shingu is addressing with another project — “Breathing Earth,” an ambitious plan to build a wind-powered village as a hub of environmental activity and discussion. Shingu playfully describes the odd grass-covered domed structures of “Breathing Earth” as “architecture without architecture.” Aesthetically, the project seems to stray from his sculptural work, but, calling it his “life dream,” it also appears to be closer to his heart. The message is straightforward — we must understand, respect and live harmoniously with nature. 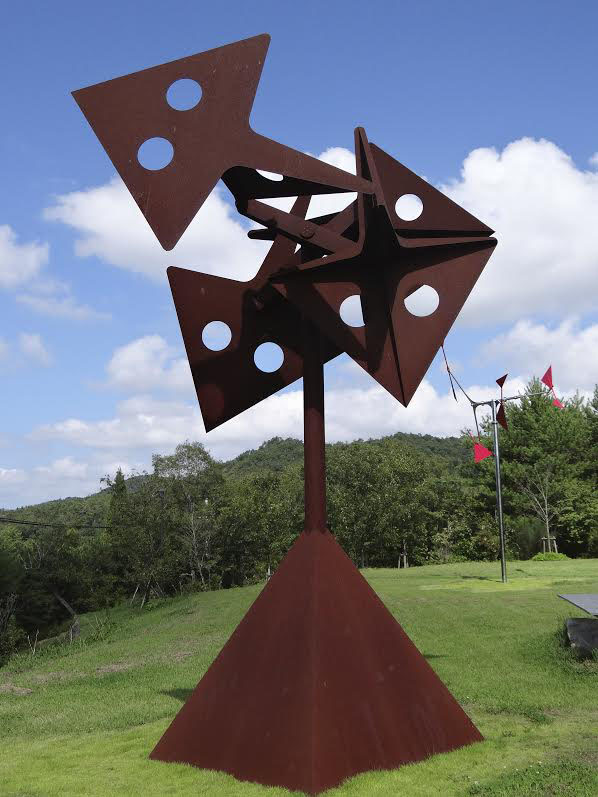 But, like his deceptively simple sculptures — which involve months of trial and error with models, close collaboration with engineers and often complicated mechanics hidden from view — his environmental project requires experimentation, innovation and collaboration between creative minds and the public. “We have technology and we still need electricity and power,” he insists, pointing out that the village is not about dismissing all modern comforts. 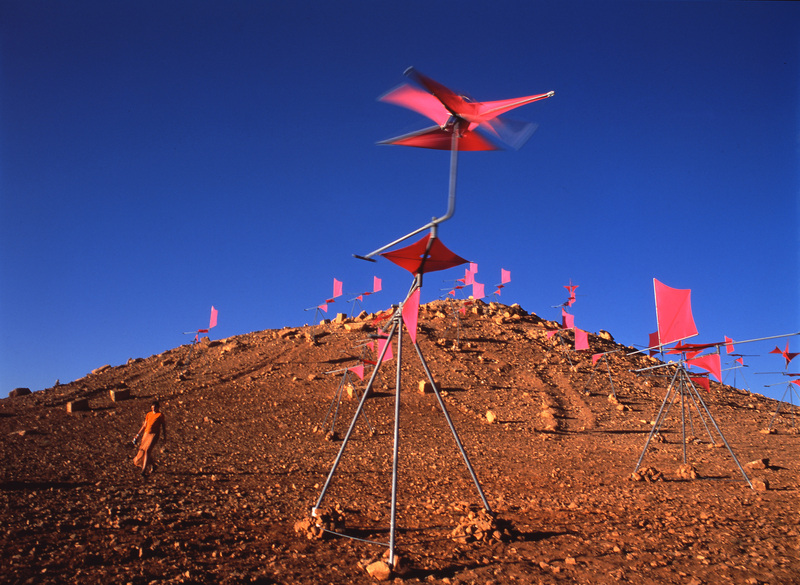 His plan includes a vegetable garden, a restaurant, studio space for artists, a theater, laboratory and more, while his design for the project’s windmills — a prototype of which is being tested at the Wind Museum — keeps them small, quiet and aesthetically pleasing. They may not be as efficient at generating power as industrial ones, but Shingu stresses that “Breathing Earth” is about “setting an example,” not presenting a solution. That change, he says, must begin with an appreciation of Earth. As an artist whose own wife says will “never grow up,” it’s perhaps not surprising that Susumu Shingu also writes and illustrates children’s picture books, all of which, of course, follow themes of nature. His first publication, the 1975 “Strawberries,” illustrates how the wind, rain, snow and the sun — seemingly harsh attributes of nature — all help a tiny seed grow into a beautiful strawberry plant. Shingu’s next publication will be his first pop-up book, “The Mysterious Wood,” which follows the flight of a paper airplane and teaches some onomatopoeic words. “I made the pop-up myself with scissors and glue. It was such fun,” says Shingu, describing his prototype, which is now ready for production. 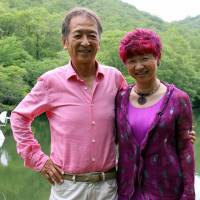 A list of Shingu’s children’s books and other publications can be found online. “The Myseterious Wood” will be shown at the Frankfurt Book Fair Oct. 8-12. Originally planned for 2011 as part of an exhibition titled “Atelier in the Rice Paddies,” it was almost postponed after the Great East Japan Earthquake. 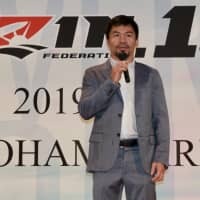 Shingu, however, decided that as a project that involved participation of children and nature, it could serve to show Japan’s support and help lift spirits, and it has since become a continuing venture. 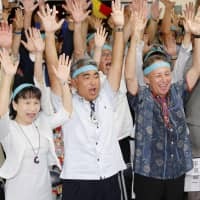 Children in Japan and overseas are asked to “give energy” to blank traditional Japanese koi nobori (windsocks shaped as fish that usually displayed on Japan’s Children’s Day) by painting them with original designs. In April 2012, the Miyagi Museum of Art hung 120 “genki nobori,” including those made by local children. 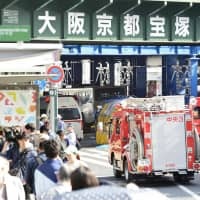 In January, last year, the Genki Nobori project was taken to Kobe as part of the anniversary of the Great Hanshin Earthquake, and they will be displayed there again next year, by which time Shingu hopes it will have accumulated many more wind socks.